Home Blog Mesothelioma What are the Symptoms of Mesothelioma? Every year, asbestos claims the lives of between 12,000 and 15,000 people in the United States. You read that right. What was once known as “Canadian gold” is in fact, a cancer-causing agent. In 2014 alone, WHO reported that it led to 107,000 deaths worldwide. In the same year, it also caused over 1.5 million Disability Adjusted Life Years. Of the diseases asbestos exposure causes, Mesothelioma is one of the deadliest. That’s why you need to know the symptoms of mesothelioma if you’re one of the millions exposed to asbestos. The statistics above should already tell you that it’s a matter of life and death. The earlier you spot the signs of this cancer, the sooner you can get treatment. That said, let’s delve right into mesothelioma’s long list of cancer signs. Before anything else, let’s first answer that question you likely have in mind. You’re wondering why you should worry about mesothelioma, with asbestos already banned. Granted, the Environmental Protection Agency started asbestos banning laws back in 1973. But it doesn’t apply to all asbestos materials and products containing it. Plus, the diseases that asbestos exposure causes take anywhere from 10 to 40 years to develop. That means even if your exposure took place a decade ago, you’re still at huge risk today. Here’s another shocker: By the time most people get a diagnosis, their disease is already advanced. That should be enough reason to feel concerned about asbestos diseases, including mesothelioma. The mesothelium is a layer of tissues lining many of the body’s internal structures. These include the chest organs, abdominal cavity, and pelvis. The main function of mesothelium is to protect these sensitive inner structures. It’s also involved in breathing and motion. When this protective lining becomes ridden of cancer cells, that’s mesothelioma. But other problems can also develop here, such as pleural and pericardial effusions. 90% of reported mesothelioma cases started in the chest cavity’s pleural mesothelium. But this cancer can also begin in the area surrounding the heart and the abdominal cavity. Wherever they came from, malignant mesothelium cells can invade the rest of the body. This invasion can then lead to nearby tissues becoming damaged. The cancer cells can also spread (metastasize) and affect other parts of the body. When mesothelioma develops, their tumors start off as tiny nodules. In this phase, the cancer often doesn’t exhibit any symptoms. It only does at stage three or four, when the tumors have grown big enough and have already spread. It’s because of this that early symptom recognition can be almost impossible. The good news is, X-rays and specific blood tests can catch mesothelioma early on. That’s why you should tell your doctor about any potential asbestos exposure ASAP. This may be at work, especially in construction, mining, or milling. In any case, the majority of asbestos-related diseases are due to occupational exposure. Second-hand exposure is also possible, such as if you live in an older home. Many old residences in the U.S. used asbestos as a primary construction material. Exposure is also possible through consumer products containing asbestos. Note as well that veterans who were in service between 1940 and 1980 are at great risk. Back then, asbestos use was very common in many military applications. But those who were in the Navy carry the highest risk, as they relied more on asbestos than other branches. So… What are the symptoms of mesothelioma? What are the signs of the disease that should prompt you to get yourself checked by a doctor ASAP? These are some of the most common (and often early) mesothelioma symptoms. But as you can see, they’re the same with a plethora of other health problems. That’s why it’s best you see a doctor right away if you know (or at least suspect) exposure occurred. This is especially true if you also experience chest or stomach pains. Respiratory complications, together with the above symptoms, also signal mesothelioma. Note that these are the more advanced warning signs of cancer of the mesothelium. But you can still get treatment, so long as you don’t delay getting a diagnosis any longer. Pleural effusions, wherein fluids build up in the pleura, also signal pleural mesothelioma. Most patients who have this cancer also cough up blood and report body and chest pains. Peritoneal mesothelioma affects the peritoneum — the lining of the abdomen. Ingestion or inhalation of asbestos causes this cancer. It’s the second-leading type of mesothelioma. This type of mesothelioma can also lead to fatigue and bowel obstruction. If you notice any of these signs, don’t postpone a visit to your doctor. This is cancer of the mesothelium lining the heart. A 2017 study cites this as only accounting for 0.7% of mesotheliomas. But it’s still a type of cancer, which means it’s still deadly. Coughing is also common in people with this type of mesothelioma. Granted, testicular mesothelioma is the rarest of all mesotheliomas. It only accounts for less than one percent of all cases. The thing is, the outlook is still pretty bad, with its 30% lethal outcome rate within 24 months. We hope that you won’t get to this point before you act upon your symptoms. We’ll still list the symptoms for reference though. If you or anyone you know experiences them, that means the cancer may have already spread. If there’s nerve pain that travels down an arm, that’s a sign that pleural mesothelioma has spread. Metastasized mesothelioma often occurs in a local manner, such as within the chest. This local spread also happens in mesothelioma of the abdominal lining. Every year, doctors diagnose 3,000 new cases of mesothelioma. Many of them die because of pneumonia or other forms of respiratory failure. Others due to bowel obstructions or heart complications. But there is still hope for survival. According to a study, the average survival rate for the first year was 51%. But this goes down to 26% in the second year, 16% on the third, 11% on the fourth, and 9% on the fifth. So, as you can see, the earlier your diagnosis is, the higher your chances of survival. Early diagnosis is also key to the effectiveness of life-extending treatment and therapy. This said, you should let your doctor know right away in case you experience any of the symptoms above. Apart from your doctor, know that a personal injury lawyer can also help. Such a legal professional can help you receive compensation for all your suffering. They can aid in determining who’s liable for your asbestos exposure. Although you can file your own asbestos exposure claim, know that it’s a long process. It’s very complex too, given the nature of asbestos-caused diseases. That’s why it’s best you find an experienced mesothelioma lawyer instead. Unsure of How to Sue for Asbestos Exposure? Of course, the first thing you should do is to talk to your doctor about your symptoms of mesothelioma. Your priority is to receive an accurate diagnosis and prompt treatment. From there, we can help you with a lawsuit against the party responsible for your condition. 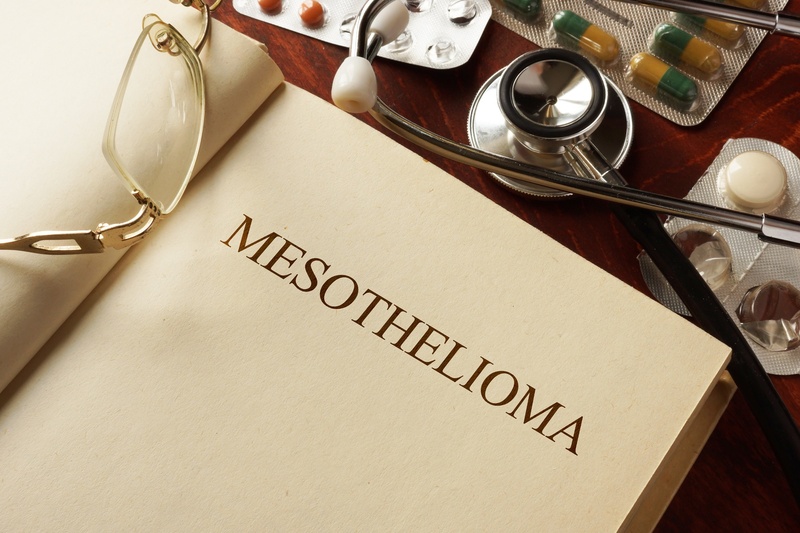 You can check out our mesothelioma lawsuit guide for some quick facts. But for a more comprehensive explanation, please feel free to contact us. Asbestos vs Mesothelioma: What’s the Difference? Second Hand Asbestos Exposure: What Is it and What Are Your Rights?